At the end of 2013 the Parish Council invited all of us to have our say. They wanted to know what is important to us about living in Cannington. They asked us to think about aspects such as housing and possible development, the businesses, traffic, services, sports and community facilities. They also wanted to know what we like about living here and what we would like to see happen in the future. This is where the Cannington Neighbourhood Steering Group comes in. 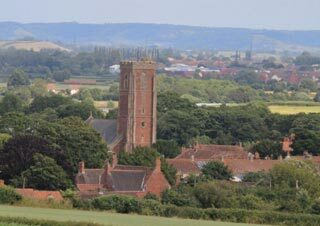 The Steering Group are local residents who are volunteering their time to develop the Cannington Neighbourhood Plan. The first step for parish/town councils or prospective neighbourhood forums wishing to prepare a Neighbourhood Plan is to submit their proposed neighbourhood area to the local planning authority for designation. Prospective neighbourhood forums will also need to submit an application for designation by the local planning authority. Preparing to write a Neighbourhood Plan includes publicity, development of local partnerships, community consultation and engagement and the building of an evidence base. This will inform the development of a vision and/or aims for the plan. These in turn will inform the formulation of policy, proposals and site allocations. Community engagement will be necessary at all stages of the plan-making process. The proposed Neighbourhood Plan will be submitted to the local planning authority, which will check that proper procedures have been followed in its preparation and that any necessary assessments accompany the plan. Following a period of publicity, the local planning authority will arrange for an independent examination and organise the public referendum, subject to the plan meeting legal requirements. You may remember we held a competition to design a new logo for Cannington. Regrettably we only had one entry and the team decided it didn’t meet the brief. It’s such a shame as there are a lot of very talented people in our lovely village.